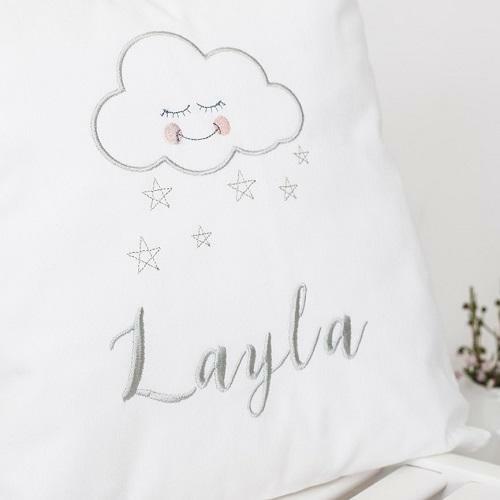 The sleeping cloud is embroidered on to a lovely soft premium white cotton, and has a elm tree studio branded wooden button securing the envelope opening on the reverse. 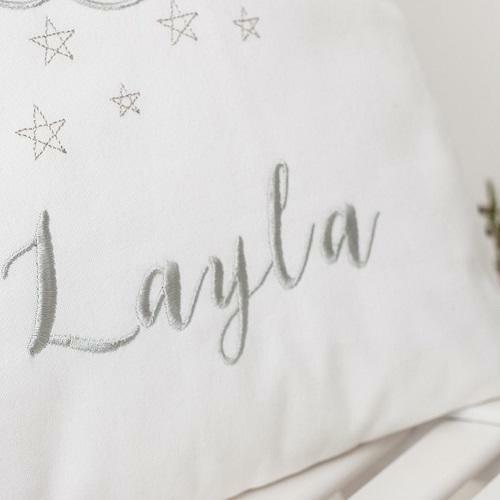 This sleeping cloud cushion is embroidered with a soft grey and blush pink thread with metallic silver thread to enhance the twinkly stars. 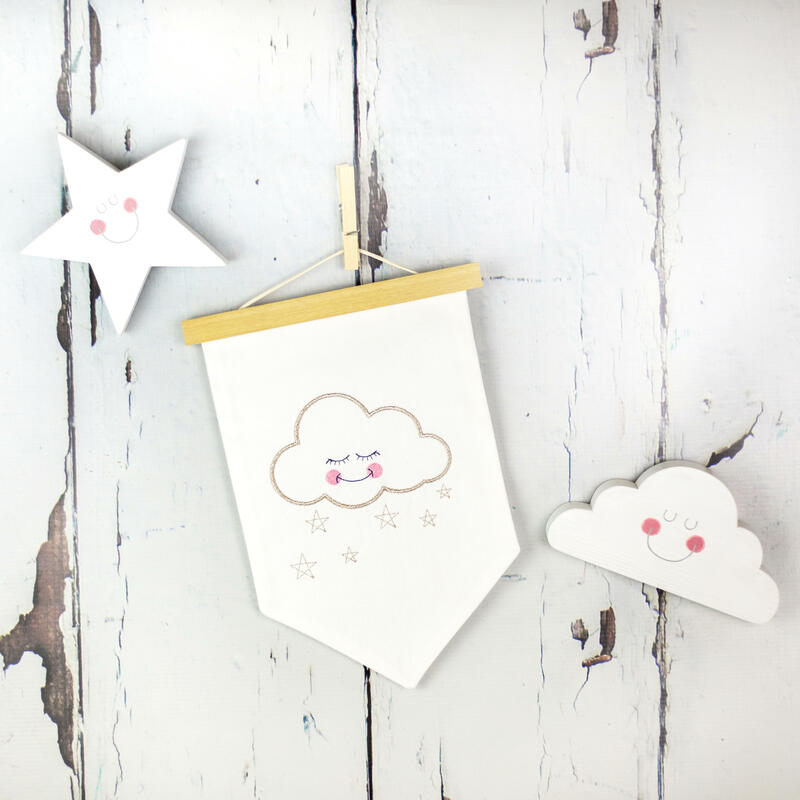 A lovely addition to any nursery or child's room. 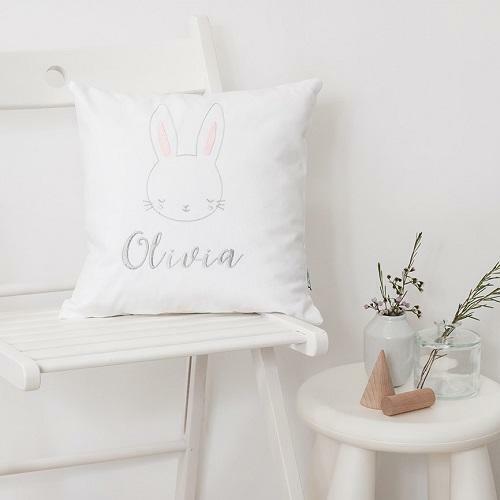 Each cushion is made in my studio in the heart of Leicestershire. 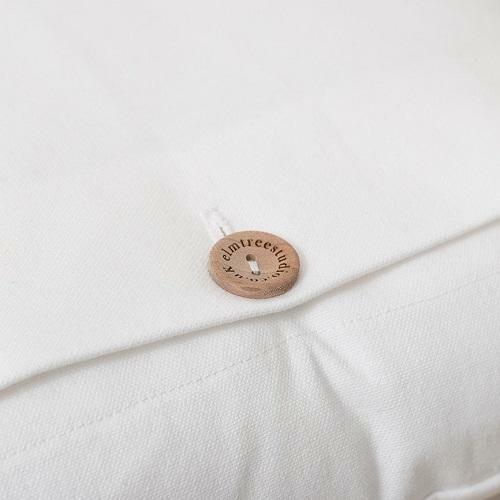 Your sleeping cloud cushion will be wrapped in tissue paper and carefully packaged, before being dispatched. 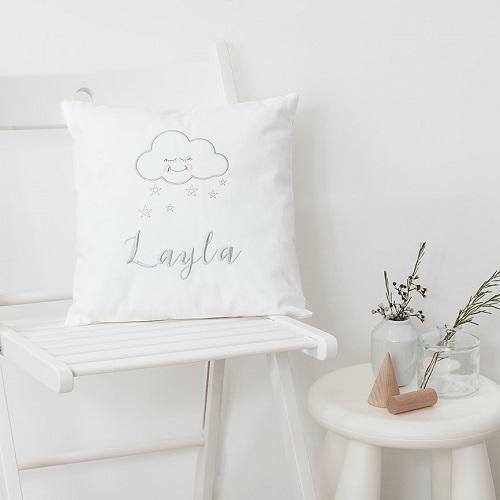 1st class recorded postage is included in the cost of this Scandi cloud nursery cushion.